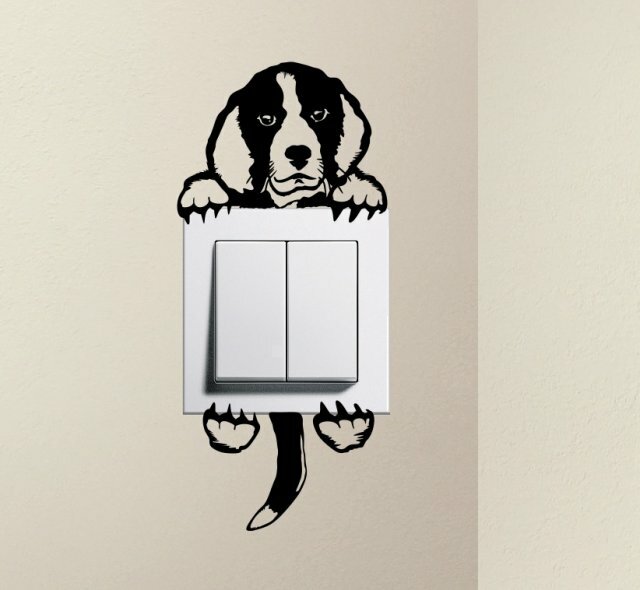 Hugeable, sweet puppy resting on your light switch playfully transforms the boring device into an interesting point in the room. Cheeky kitten hanging on a light switch makes a humorous movement impression scene adding fun and colour to usually dull switch. 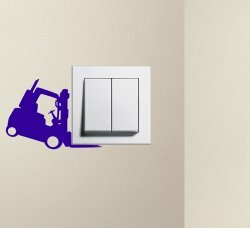 Create a fun scene upon your wall eith the forklift vinyl sticker lifting the switch. 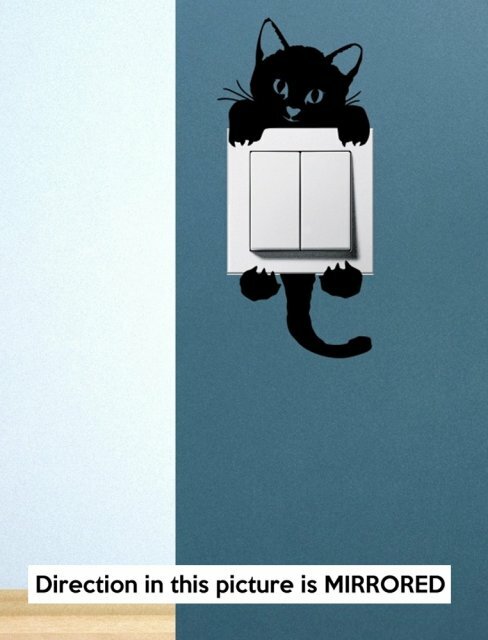 Highly durable vinyl will not ruin your walls when removed after being heated with a hairdryer. 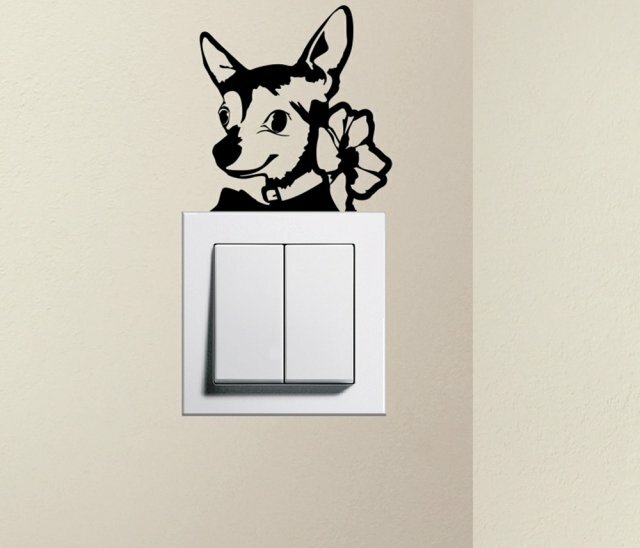 Cute, curious Chihuahua vinyl sticker transfer poking from behind a light switch makes an interesting point adding extra depth to your wall. 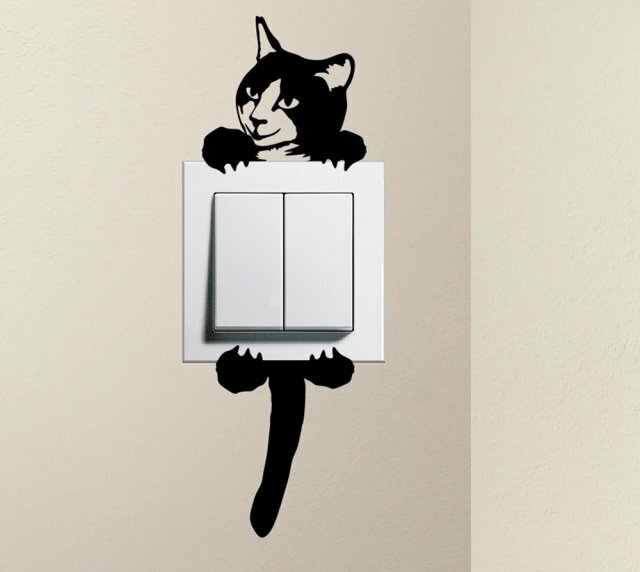 Turn your light switch into a playground with this cute kitten climbing from behind of the switch. 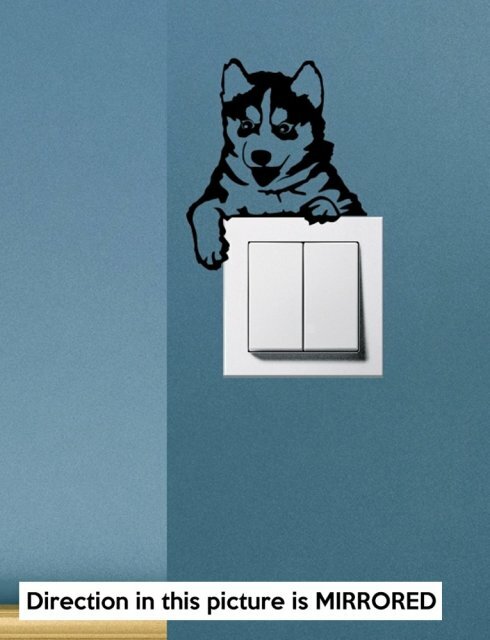 Fun and hardwearing vinyl sticker creates a multidimensional feel to what is just an ordinary, flat switch. 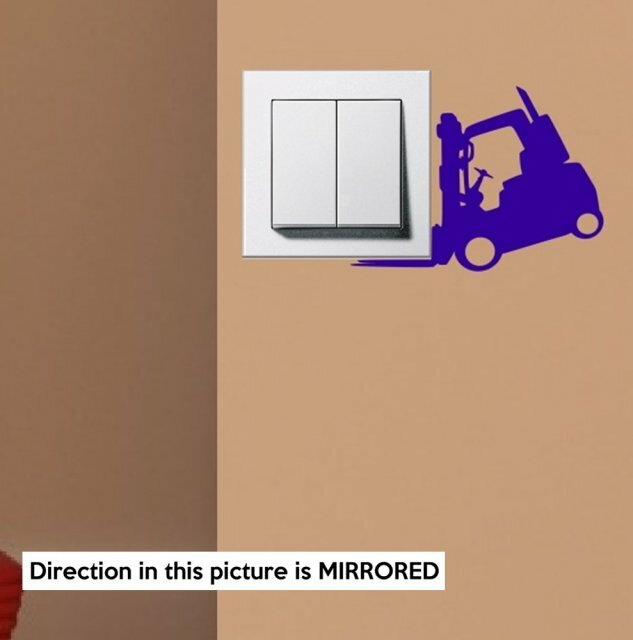 Breath in a new life into your light switch, choose your preferred colour of the sticker. Lovely, huggable creation will charm everybody. 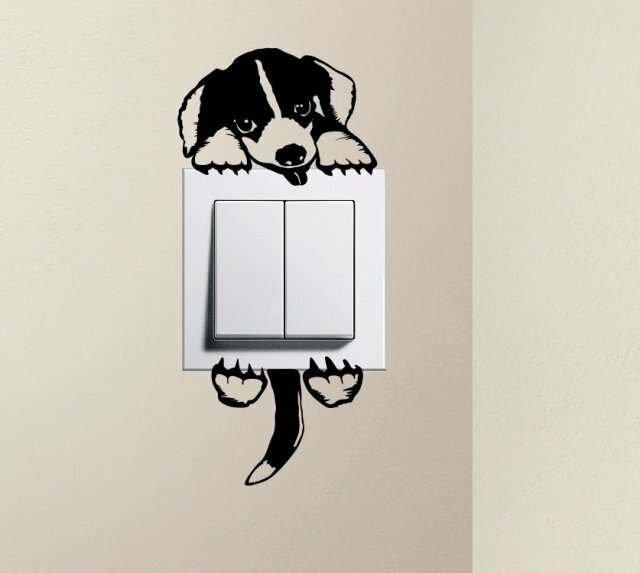 Fantastic idea of protecting your walls from dirt and damage around your light switch while enjoying this multidimensional, movement feel cute puppy vinyl sticker. Durable material will stay in place unchanged until you wish for a change. High quality material is the assurance the sticker will not ruin the surface underneath, just heat it up with a hairdryer. 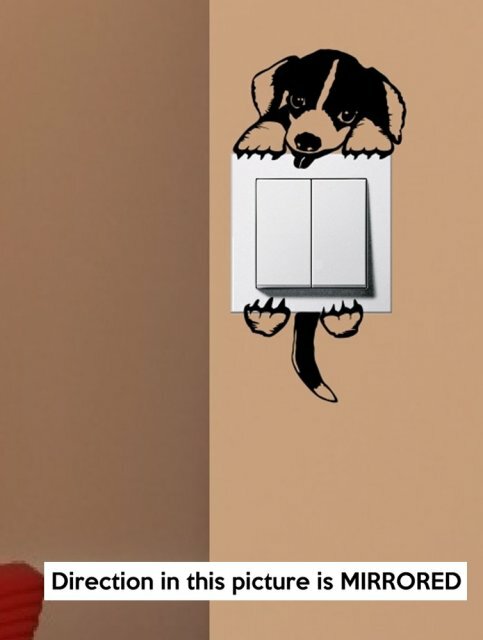 Adorable, attention seeking puppy coming from behing a light switch is an amazing, interactive vinyl sticker waking your ordinary light switch to act as its toy. 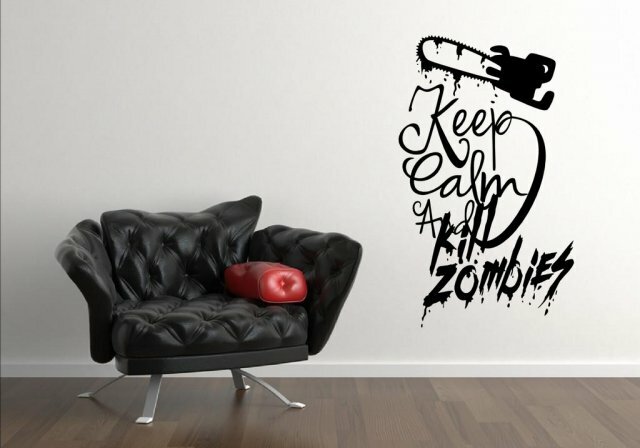 Create a fun scene upon your wall an easy way with this creative, hardwearing vinyl sticker. 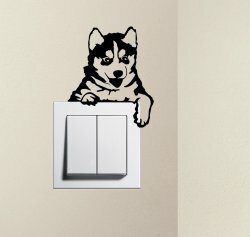 Enjoy the fabulous puppy nearly flopping over the switch while having your wall around the switch protected from dirt and damage. 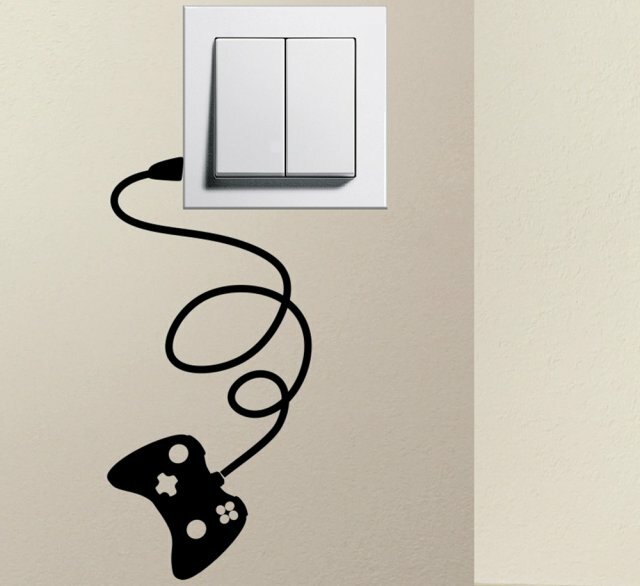 Mark your gaming territory with this modest yet very powerful design! 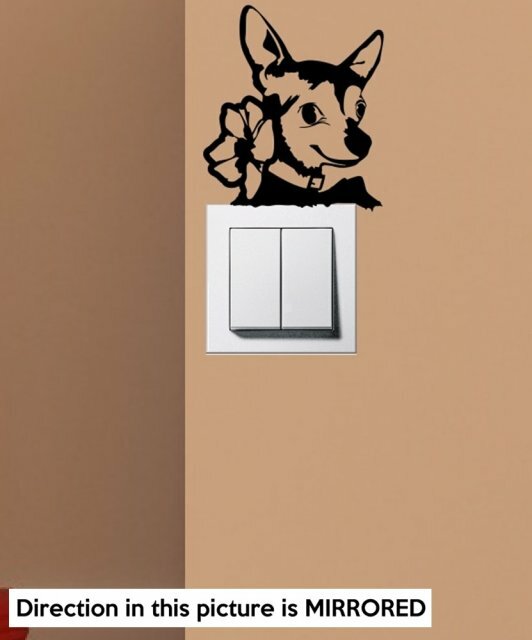 Bring joy to your ordinary light switch or power socket by simply applying the game pad with charger vinyl sticker close to your electric points and watch the sticker bringing your boring switches to life! Surprise yourself and others with this unusual idea of decorating your toilet seat. 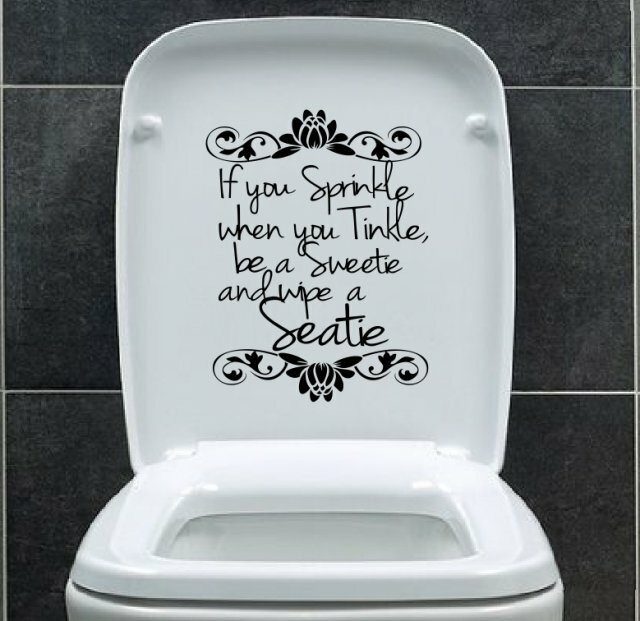 Bring a little majestic fun to the toilet time, make it an unexpected talking point. 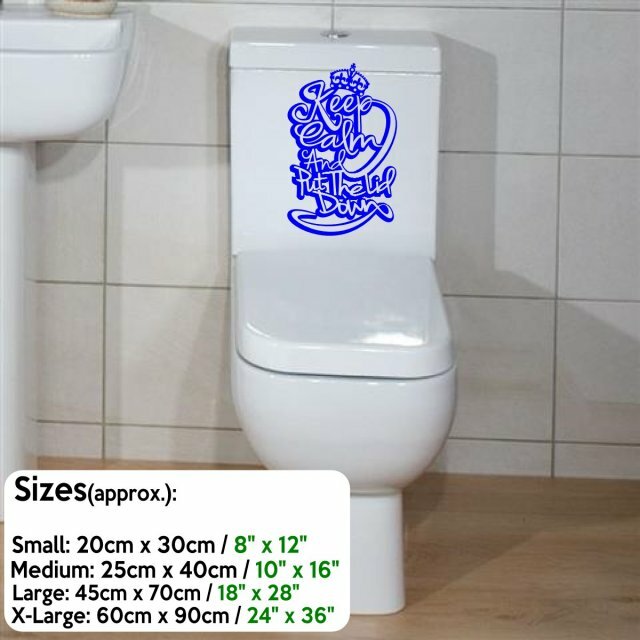 Create a more pleasant place for your daily trips, match the colour of your vinyl sticker to the existing colour scheme. 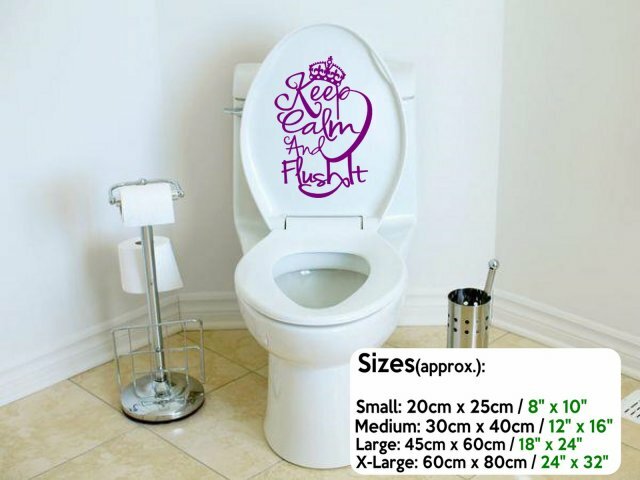 Choose your preferred size and etch the fraction of your toilet users. Waterproof vinyl will not peel off but can be removed easily when instructions are followed. 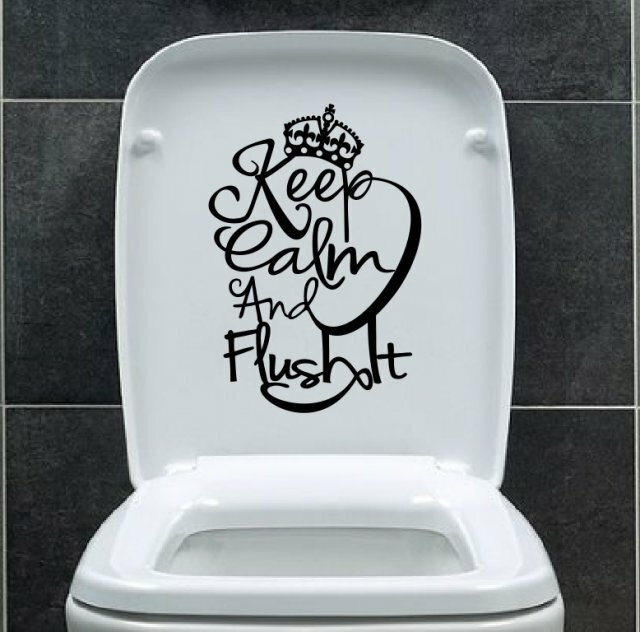 Have you had enough of seeing your toilet seat being up all the time? 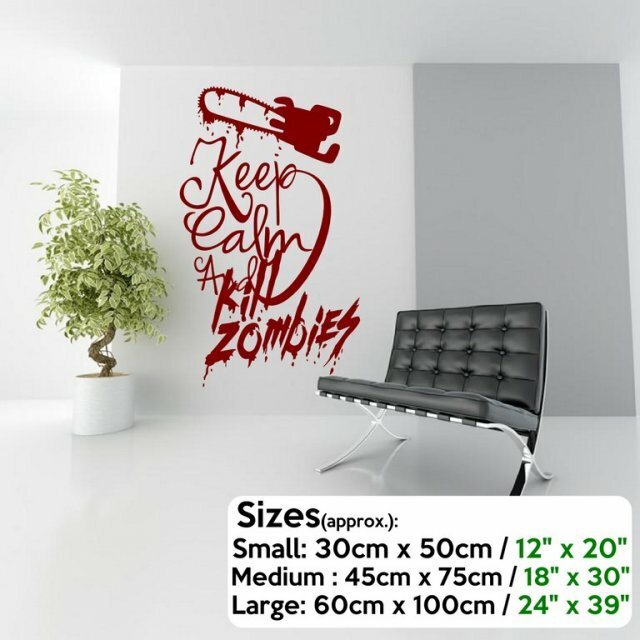 This vinyl sticker will do just the job looking great at the same time. Beautifully designed wall art will add curly textures and colour to your bathroom while it will guard the order of your home. 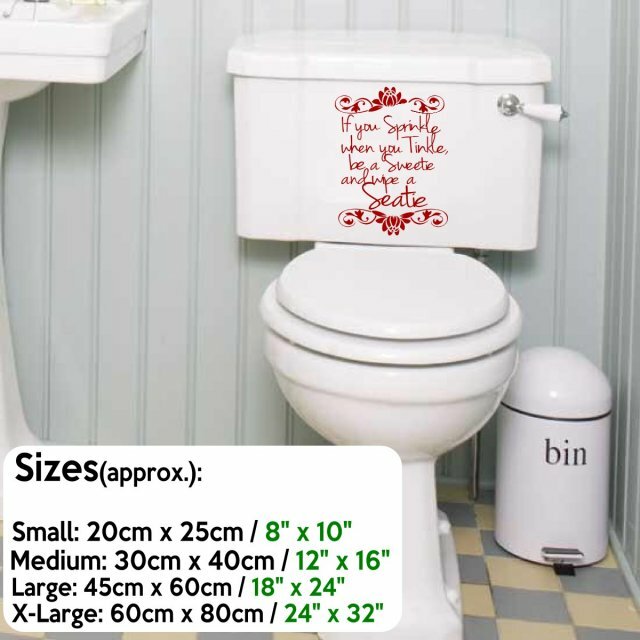 No more reminders to forgetful users, just apply this waterproof vinyl stickers and watch the results! 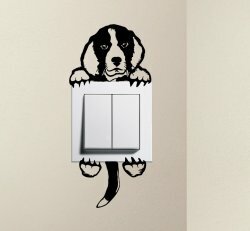 Need to tag your bathroom? 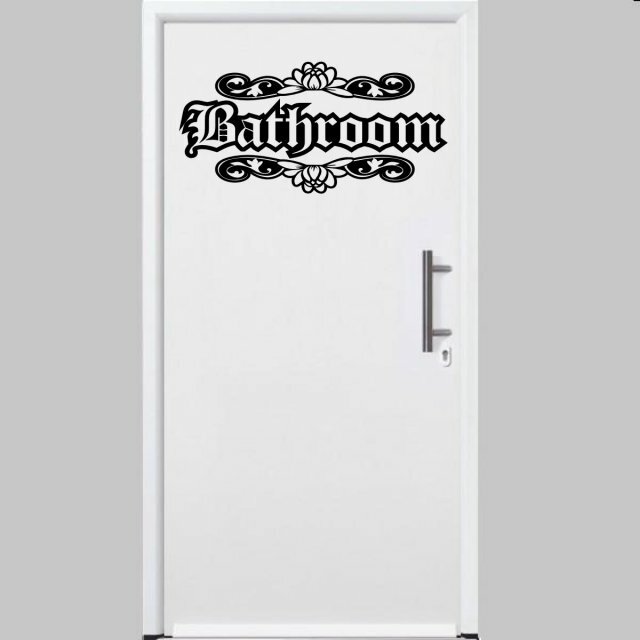 Do it in style with this beautiful designer's vinyl sticker. 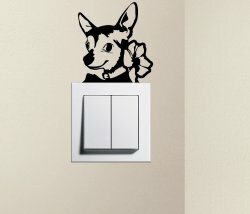 Apply on doors or walls and enjoy the ornamental as well as functional use of this wall decor. Suitable for outdoors too as long as applied on smooth surface. 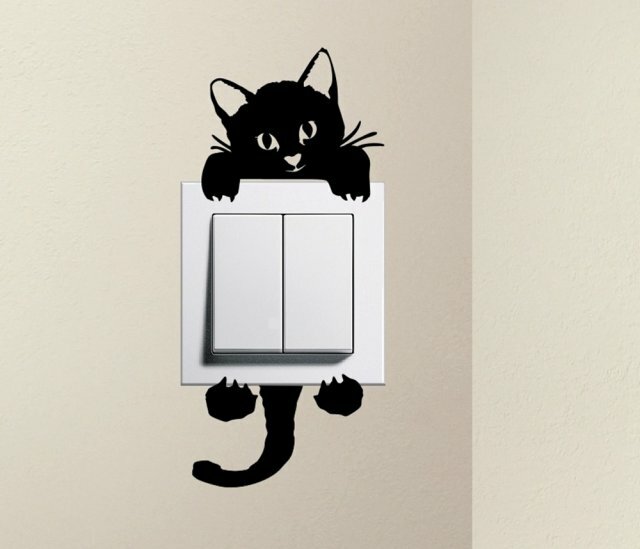 Wide range of colours and four sizes are available for this design. 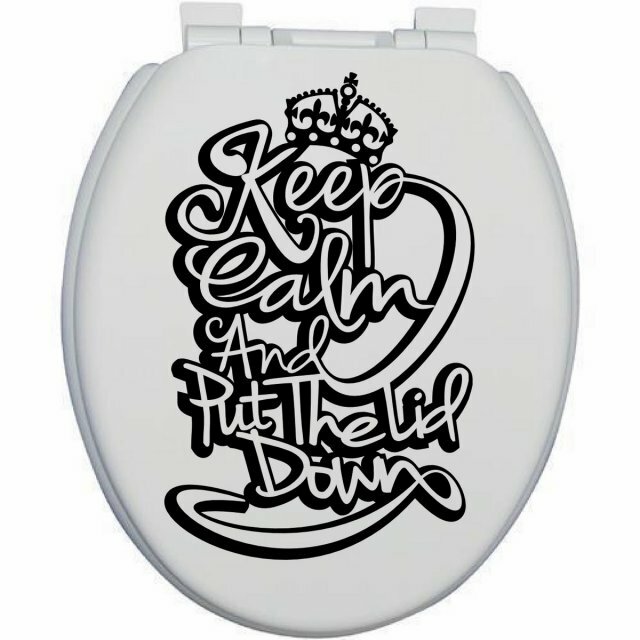 Toilet train your family and visitors with this original designer's vinyl sticker. 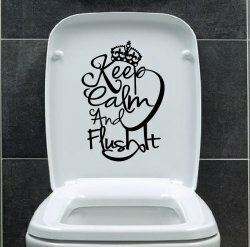 Unique way to politely remind your toilet users about keeping things in order while looking at a very beautiful creation of water lillies. 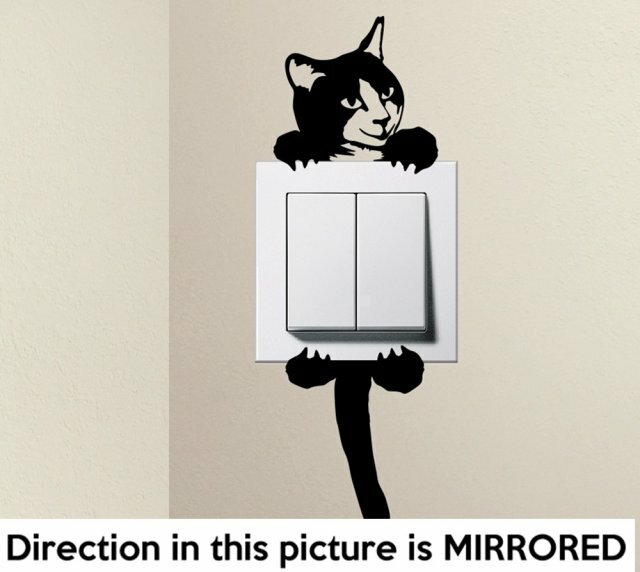 Interesting design will become a talking point in your home or workplace. 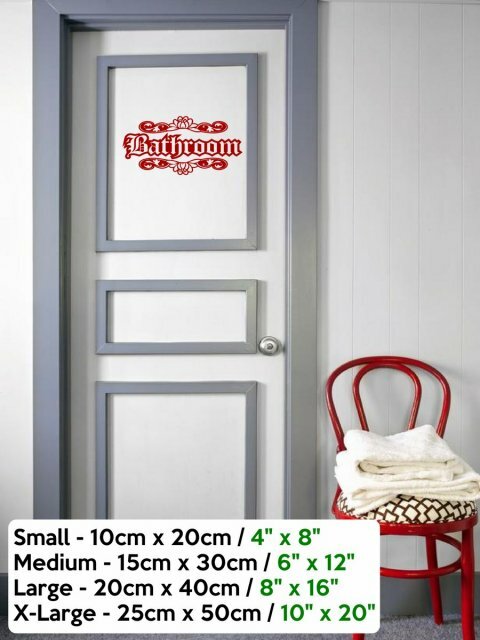 Add fun to the usually boring and typical bathroom decor, choose the desired colour and size. Young and old party lovers will love to have this wall art! 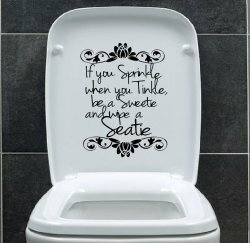 Fabulous twist on the iconic quote by The Queen looks like an order to just have fun. 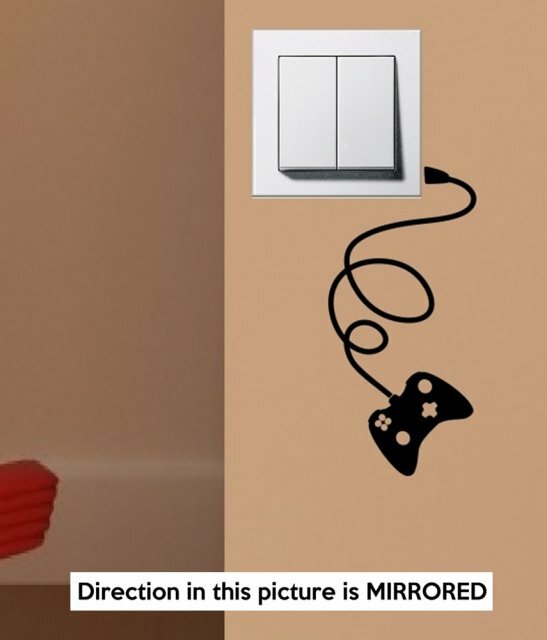 Great item for students in their rented accommodation or dormitories as this vinyl sticker can be removed without leaving a trace when instructions are followed. 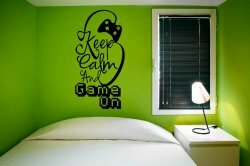 We have fantastic palette of colours and few sizes available for this wall decor. Mark your gaming territory with a great looking wall art. 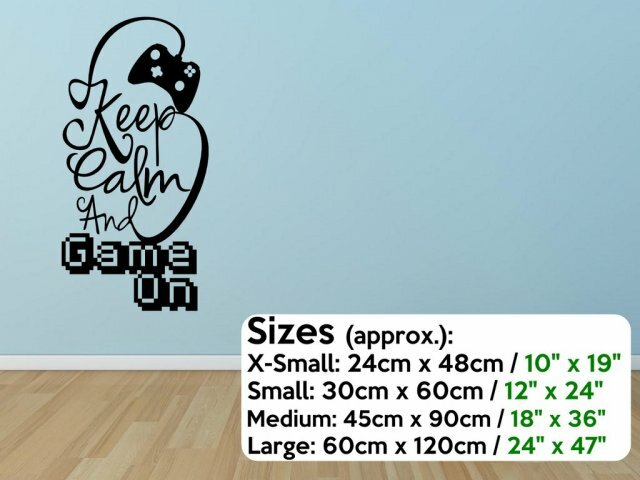 Rounded lines of this wall sticker will add the cosy feel while the square writing leaves no doubt about the owner's hobby. 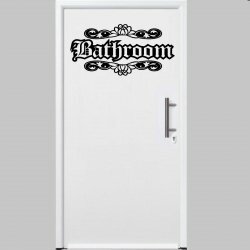 This vinyl sticker is suitable for applications indoors as well as outdoors. 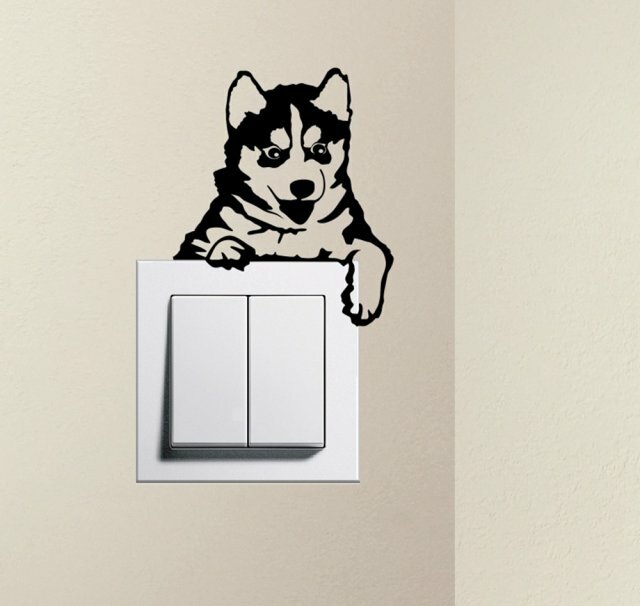 Put your stamp on your living room or bedroom, personalise your workplace or your car or a boat. Choose your preferred colour and size and discover the power of a vinyl sticker for yourself. 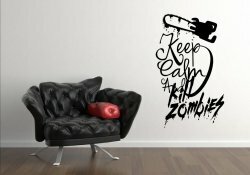 You will love this design if zombies are your thing but you cannot make permanent changes to your home perhaps due to renting. 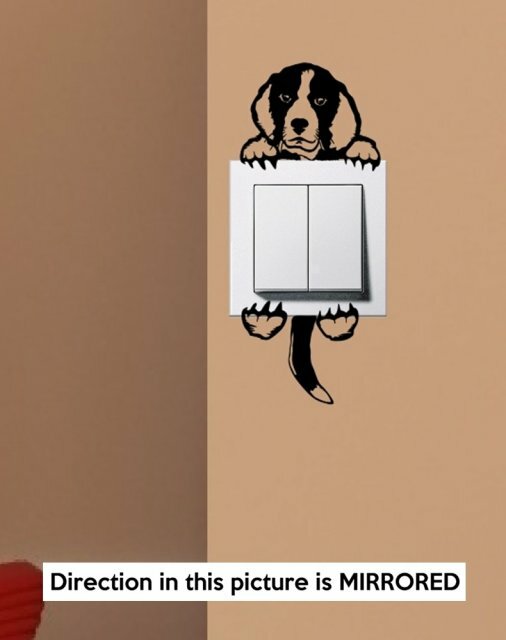 What looks like splashes and random lines makes this great messy wall sticker which can be removed without leaving a trace following our instructions. Fabulous disorganised pattern wil add fantastic drama to any interiors, whether bedroom or centre piece in your living room.